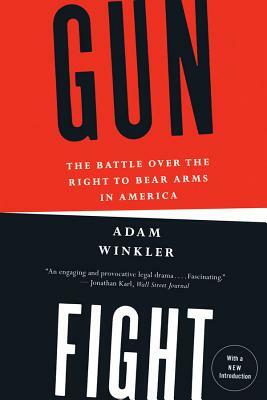 Gunfight is a timely work examining America's four-centuries-long political battle over gun control and the right to bear arms. In this definitive and provocative history, Adam Winkler reveals how guns--not abortion, race, or religion--are at the heart of America's cultural divide. Using the landmark 2008 case District of Columbia v. Heller--which invalidated a law banning handguns in the nation's capital--as a springboard, Winkler brilliantly weaves together the dramatic stories of gun-rights advocates and gun-control lobbyists, providing often unexpected insights into the venomous debate that now cleaves our nation.